Covering both the technology and its applications, Satellite Technology is a concise reference on satellites for commercial, scientific and military purposes. 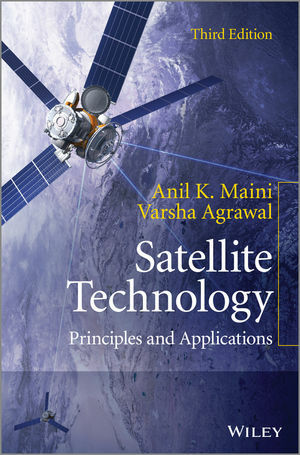 The book explains satellite technology fully, beginning by offering an introduction to the fundamentals, before covering orbits and trajectories, launch and in-orbit operations, hardware, communication techniques, multiple access techniques, and link design fundamentals. This new edition also includes comprehensive chapters on Satellite Networks and Satellite Technology – Emerging Trends. Providing a complete survey of applications, from remote sensing and military uses, to navigational and scientific applications, the authors also present an inclusive compendium on satellites and satellite launch vehicles. Filled with diagrams and illustrations, this book serves as an ideal introduction for those new to the topic, as well as a reference point for professionals. An ideal introduction for Professionals and R&D scientists in the field. Engineering Students. Cross disciplinary information for engineers and technical managers.